Patricia Monteleone, LCSW has a private practice in Warwick, New York. She offers psychotherapy, consultation, supervision and coaching. She obtained her AM from the University of Chicago in 1995 after having a successful business career as a CPA. Her extensive professional experience coupled with her life experience as a wife, mother, community member, athlete and spiritual student offer her clients a rich, broad-reaching range of services to help them become their best selves. Patricia is an integrative psychotherapist informed by EMDR, SE, DBT, Self Psychology, Internal Family Systems and many other modalities. She is an EMDRIA Approved Consultant and Facilitator for The Laurel Parnell Institute, where she is also on the faculty. 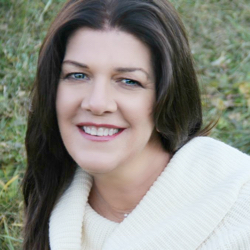 She has developed a thriving trauma practice in the Hudson Valley of New York. She has a large consultation and coaching practice for EMDR practitioners as well as other helping professionals. Her integrative and grounded approach to teaching is the cornerstone of her success.